As the temperatures rise this summer, so does the number of domestic and international travelers. With the influx of tourists, your restaurant has an opportunity to increase traffic to your business during the summer months. Travel-related spending averages $4,400 for international travelers with domestic travelers spending an average of $1,364 per trip. Make sure that your restaurant is catering to tourists so that they are spending that money with you. Staying up-to-date with new trends as well as using creative advertising tactics to reach new customers in your area will guarantee your restaurant a successful summer of sales. 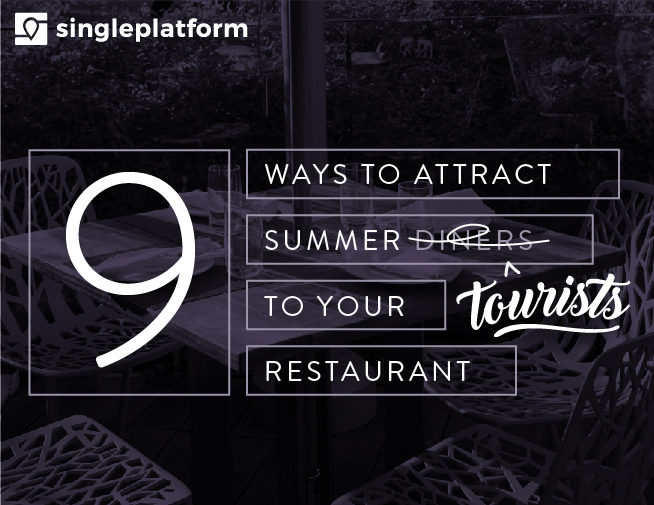 For nine innovative ways your restaurant can attract tourists to dine with you this summer, check out SinglePlatform’s latest e-guide.